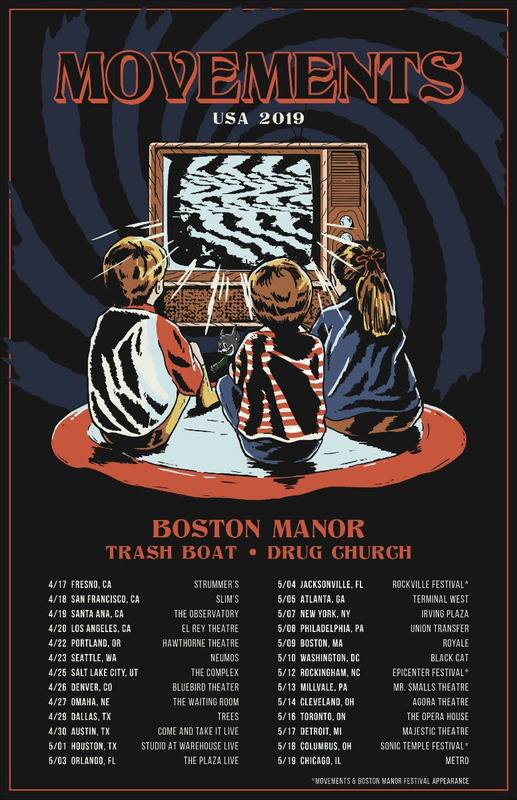 California’s Movements, who spent last summer headlining the final cross-country Vans Warped Tour, have announced that they will embark on a headline tour this spring with Boston Manor, Trash Boat, and Drug Church. The tour kicks off on April 17 in Fresno, California and runs through May 19 in Chicago. The band will also make appearances at several high-profile rock festivals this spring — including Sonic Temple Festival on May 18, Epicenter on May 12, and Rockville on May 4. All Movements tour dates are below. Tickets are on sale here.